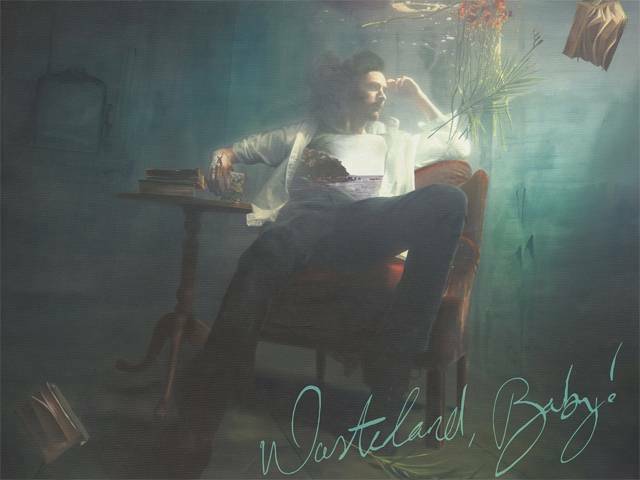 Multi-Platinum singer-songwriter Hozier will release his highly anticipated sophomore album Wasteland, Baby! on March 1. The 14-track album is available for pre-order now and includes current single 'Movement'. In just two months, the haunting track has been streamed over 20 million times and become a firm favourite in Hozier's live shows. Along with 'Movement' the album includes new song 'Almost (Sweet Music)'. Hozier says: "I'm thrilled to announce my new album Wasteland, Baby! will be released on March 1. The album has been over a year in the making, and it's a pleasure to finally turn out my pockets and share the work. I want to sincerely thank fans and listeners for their continued support in between the records. See you out on the road soon." In support of the album's release, Hozier will embark on a US Wasteland Baby! Tour this March, before heading to Australia for a headline tour in April 2019. Hozier will perform back-to-back nights at the iconic Sydney Opera House Concert Hall on Monday 22 and Tuesday 23 April, followed by back to back nights at Melbourne's stunning Palais Theatre on Thursday 25 April and Friday 26th April, with special guest Didirri. Tickets for Hozier's headline tour dates are on sale now. In addition, Hozier is set to perform at Bluesfest in Byron Bay over the Easter long weekend in 2019, where he joins an incredible calibre of artists including Jack Johnson, Ben Harper & The Innocent Criminals, Paul Kelly, David Gray, Ray LaMontagne, Julia Stone, Kasey Chambers and more. Wasteland, Baby! is the follow up LP to Hozier's 2014 critically acclaimed self-titled debut. Since its release, Hozier has been streamed over 2 billion times on Spotify alone, with lead-single 'Take Me To Church' remaining in the top 35 most streamed songs on the platform despite being released over four years ago. Additionally, Hozier's YouTube videos have been streamed over a billion times. In September, Hozier released his 4-track EP 'Nina Cried Power.' The EP's title track, which features vocals from multi-Grammy Award-winning artist and performer Mavis Staples and instrumentation by renowned Grammy Lifetime Achievement Award recipient Booker T. Jones , was recently highlighted as one of Barack Obama's favourite songs of 2018 and has amassed over 26 million global streams.